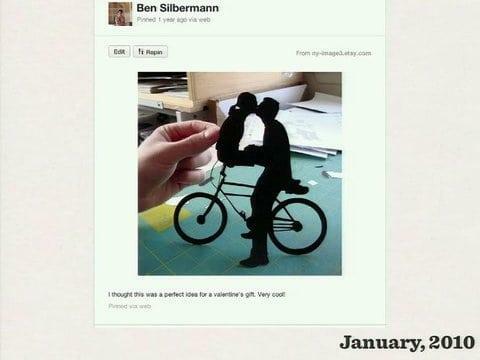 Pinterest was founded by Ben Silbermann, but that’s not how they started out. 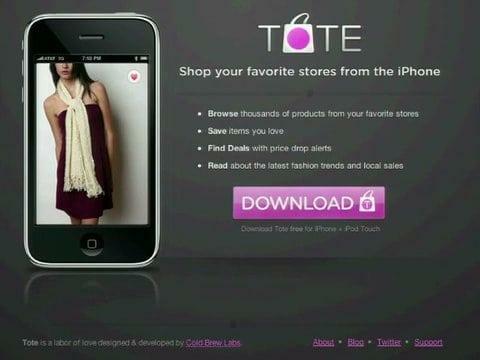 Ben set out to transform every cell phone into a clothing retail outlet with an app called Tote. It was an app for the iPhone. It pulled data from online product catalogs to create a meta catalogue for shoppers on the go. You could find particular products across retailers, sorted by location. The app was pretty enough, and the idea interesting enough, that they found institutional funding in early 2009 from First Mark Capital in New York. 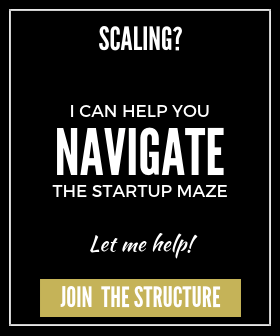 Months after launching, it was clear that Tote wasn’t going to work. There were two big problems. Firstly, that people weren’t using mobile apps for shopping. It was too early. Secondly, Apple’s App Store wasn’t ready to support businesses built on the platform as it was too slow. It makes total sense because we got the idea from a shopping app. You don’t shop for [particular items] you shop for shoes, you shop for dresses. You shop in buckets, so we were like OK, we need buckets. Ben wanted the product’s purpose to be vague so that it could be used by everyone for anything. He learned this lesson from Twitter. Over Thanksgiving dinner, Silbermann’s girlfriend thought of a name for it: Pinterest. The site grew by the same percentage (40%-50%) every single month. It’s just that the number started so low that it took a while to get going. 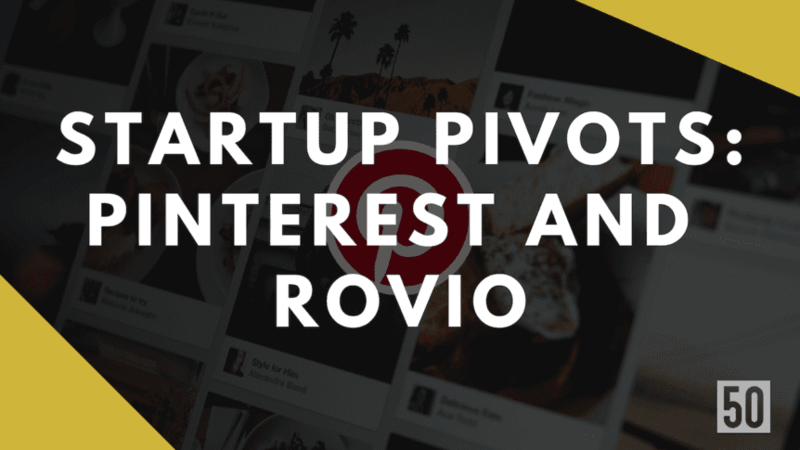 Remarkably the Pinterest team maintained their original vision despite the Valley’s pressure to be successful quickly or pivot. Funnily enough, the product you use today is very similar to what they launched with. They were one of the first sites to do the grid-like layout and they over-invested in design before it was cool. We were obsessive about the product. We were obsessive about all the writing and how it was described. We were obsessive about the community. I personally wrote to the first 5,000-7,000 people that joined the site. 2011 was the year Pinterest took off. 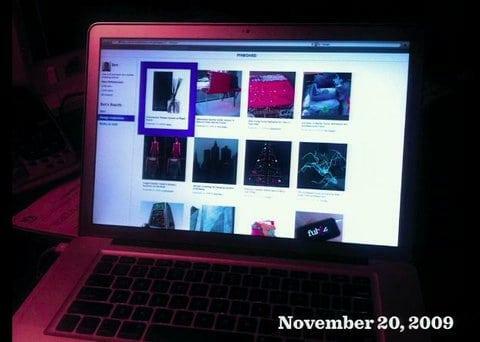 Two years after turning off Tote and abandoning the iPhone App Store, Pinterest launched an iPhone app in early March. “It was one of those things you could see that there was pent-up demand,” says an investor. In May, Bessemer Venture Partners invested $10 million in Pinterest at a $40 million valuation. Blue chip investors, including Ron Conway’s firm, SV Angel, joined the round. User numbers kept climbing through the summer: “The exponential curve looked like someone drew it perfectly,” says an investor. Six months after its launch, Pinterest, then still an invitation-only site, had 80,000 collections, on everything from favourite beverages to clothes sold at Anthropologie. By August 2012, the site had 25 million unique monthly users, almost 20 times the number it had the same month a year earlier and had become the fastest standalone social networking site to reach 20 million visitors, according to comScore data. In May, Japan’s Rakuten invested $100 million in Pinterest, in a deal that valued the company at $1.5 billion, the biggest investment for an early stage business in the second quarter, according to the PricewaterhouseCoopers/National Venture Capital Association MoneyTree Report. Rovio made 51 games before Angry Birds. Rovio was perceived as an overnight success when Angry Birds emerged in 2009. But in reality, it took Rovio 51 game attempts over 7 years before they created the game that changed it all for them. Mikael invested a few thousand euros of his own and rented an office. They spent the first year devising a strategy and won subcontracting work for Digital Chocolate, a games developer. 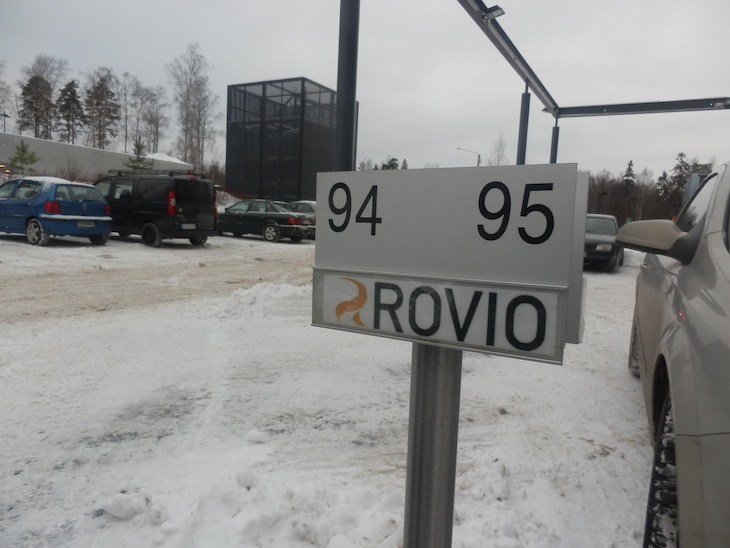 At the end of the year they renamed the company Rovio (“bonfire” in Finnish) and Mikael’s father Kaj who had just sold his stake in a company invested €1 million. Disagreements with his father led to Mikael leaving going into publishing, creating a series of comics starring a detective called August Jessor. At the same time, the Rovio business plan began to unravel: it was based on hits, and Rovio hadn’t come up with any after many many attempts. In 2009, the company was running out of cash and had to make the tough call to reduce the team from ~50 to 12 employees. Mikael was brought back in with agreement his father would get out of the way. They developed a rescue plan. The app store was the integral part. They would continue to work for hire to make ends meet, but at the same time develop their own iPhone games, abandoning other platforms. The iPhone was a hyper-competitive environment. If we succeed there, we can go to other smartphones. And if we do well there, we can go to PC and console, and beyond. We planned this out well ahead of Angry Birds. So we decided we needed to conquer the App Store: but how do we do that? We tried to profile the iPhone user and it turned out that it was everybody. In March 2009, they struck gold. There was something about those characters. These birds have no feet and can’t fly. And they’re really angry. We all started thinking about why they are so angry. For such simple characters, they made us think so much. There was some magic to it. It’s worth noting that Rovio had a non-obvious natural advantage. Finland, of course, is a relatively small country with only 5 million people. Given the small local market, the company couldn’t focus on Finland alone. The Rovio team understood that in order to be successful, they had to ‘go global’ from the start and create a gaming experience that would transcend cultural boundaries and appeal to a global audience.